Recent rumors have suggested that Apple is going to be releasing a smartwatch in the near future, but it may come sooner than you think. Today, Bloomberg reported that Apple’s watch will be released sometime this year. To boot, it appears that the device will be running on a modified version of iOS. Originally, we thought the watch would be running on the iPod Nano software, but it appears that the Cupertino company is looking to release a device that users won’t have to charge for at least four days, a feature the current iPod Nano can’t claim. As of now, according to rumors, the mock-ups Apple has currently produced only have a two or three day lifespan. An anonymous source told Bloomberg that Jony Ive, one of Apple’s top designers, is leading the project, and has some 100 engineers under him. Among the features it might have, we’re expecting it to be able to sync with iPhones and iPads, make and receive phone calls, and have a built-in GPS mapping app. As an added awesome bonus, the screen on the watch might be flexible, judging from language used on one of the patent applications Apple has filed. The watch industry has been on the decline for years now as more and more people just get the time from their phone. 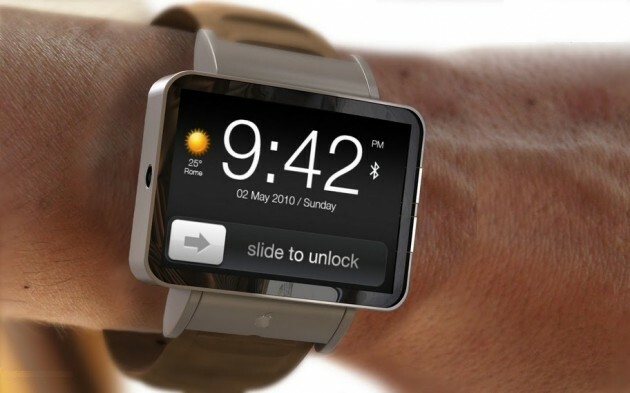 But with increased functionality, smartphones could launch the comeback of the wristwatch. The real trick, many believe, will be the style of the watch. Of the declining number of people that wear watches, many switch them up to fit the occasion. Fancy event? Bust out the high-end, nicer watch. A night on the town? Break out the edgier, design-y watch. The beauty with plopping an iPod Nano into a watchband has always been the versatility. So it will be interesting to see how Apple tackles this particular issue. We’ll continue to keep our ears peeled, and keep you posted as we learn more about the newest Apple endeavor.